The idea of taking off on a great adventure to explore distant shores aboard your own yacht has inspired a great number of people to look very closely at recreational power boats, specifically “trawlers” as the safest, easiest and most efficient method to safely accomplish this. The old days of only being able to travel on a sailboat for far away adventures are over. The popularity of trawlers as a more than viable alternative for cruisers has matured over the past three decades and the publication of PassageMaker magazine in 1997 really broke the market wide open by providing broad exposure to the boating world. As someone with an interest to learn more about how to transition from reading about this online to actually sitting in the pilothouse of your trawler anchored in pristine waters you are going to find that there are hundreds of choices, opinions and decisions that you will need to process. To satisfy your cruising goals you must first embrace this as an important education in the pursuit of your life long reward. Finding the time to get out on the water and cruise in your own trawler, whether it is during a sabbatical in your career or during your retirement years can be one of the most fulfilling things you will ever do. If you have the desire to pursue the trawler lifestyle you will be faced with a multitude of decisions to make all involving a considerable amount of money and effort. All buyers, whether they are first time or multi-boat owners, enter into the trawler market place with a huge number of choices and a wide variety of directions to go – literally and figuratively. The time is right when you can align your life with the key driving fundamentals – finding the right balance of time, health and money. How much time of each year will you spend on board? How many people will be on board your trawler most of the time? Where do you want to home base your trawler and where do you want travel to? 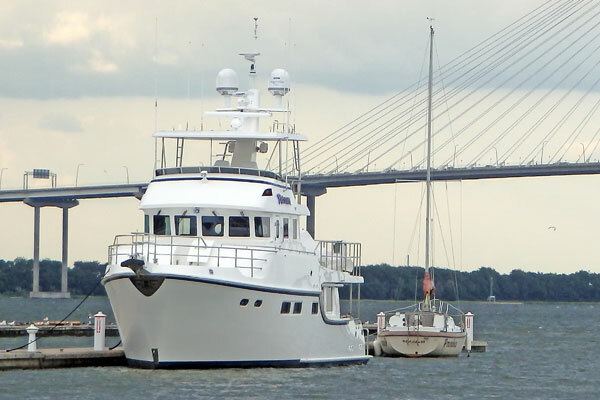 What types and which brands of trawlers are best suited for your type of cruising? How much can you afford to spend to buy your trawler AND properly maintain it? The information available through magazines, boat shows and internet research will allow you as a buyer to learn quite a bit on your own. The way you interpret and process all of this data to make a final decision may seem a bit daunting, but don’t let it overwhelm you. Potential trawler buyers who convert to trawler owners are unanimous in their acclaim that it is absolutely worth the effort and one of the best things they have ever done. If your goal is to really go out and enjoy the trawler lifestyle, then no matter which type or size of trawler you ultimately buy it is strongly recommended that you team up with a professional yacht broker who understands the market and who will serve as an experienced adviser to coach and guide you along the way and to look out for your personal interests. Selecting a compatible broker as your “business consultant” will help to insure your ultimate satisfaction and save you a lot of time, money and frustration. An important consideration for every trawler buyer is having an exit strategy, you need to keep in mind that trawler ownership is typically a money losing exercise and when you are done cruising you are best served if you have a well maintained trawler that you can price fairly to sell to the next owner.